Those of you who know me and have followed some of the crazy adventures I’ve taken probably think I mean make a bucket list. I’m actually referring to making checklists. I’m a list girl. iPhone NOTES is the greatest thing EVER. Ok. Not the greatest…but close. I can easily fall into a worry-wart-type person. Especially when life gets busy. I get obsessive. Forgetful. Spacey. Disorganized. It gets worse when I’m deep into a writing project, too. I usually laugh and say that my characters are talking to me, so I can’t keep things straight or concentrate. The characters aren’t exactly talking-talking to me, but the story I’m working on is constantly floating around my thoughts, often distracting me. So to help me focus, I rely heavily on checklists and alarms. If you think about it, we all have tons of things we need to keep straight with life, work, family, friends, etc. Nope. Write rest on your list. YEP. You read right. Write it on your list! For me, I use lists to help me relax just as much as stay organized. Knowing I have what I need to do written down means I don’t have to fret over the items. Don’t have to worry I’m forgetting something. All I have to remember is to check my list, and I’ll remember what’s needing to be done. Sometimes I have to set alarms, too. I’ve literally set an alarm on my phone and labeled it: Get ready for work. Then another one: Leave for work. Those kinds of alarms are usually reserved for when I’m writing a new story, because I can easily lose three or four hours without even realizing it. But even for normal life. 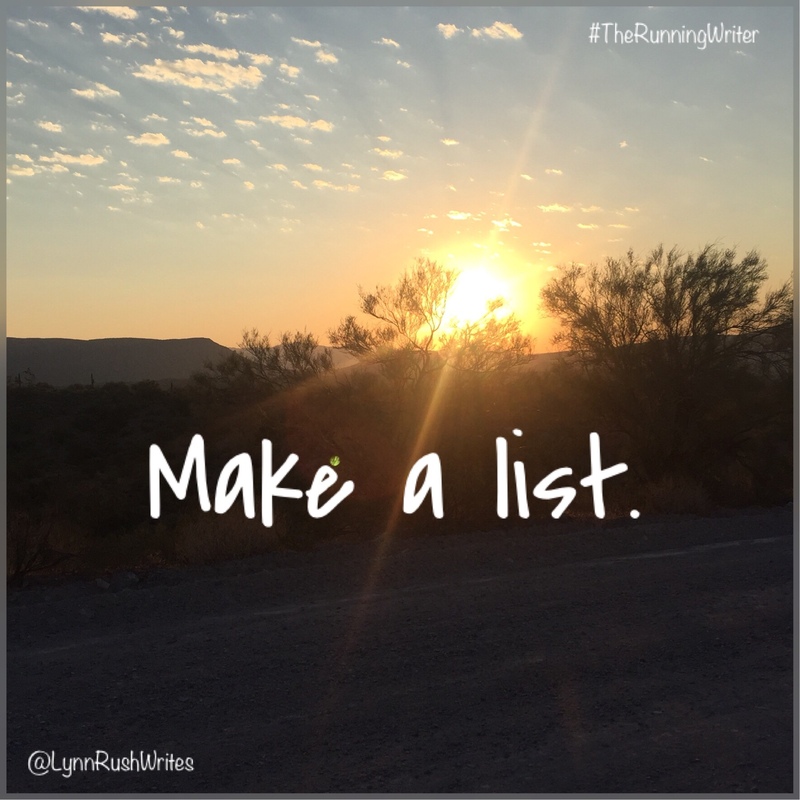 On my checklists I’ll have the following things on it: Run, clean up & rest, groceries, movie time, clean…. etc. See how a couple of them are rest and movie time? Write it in. You’d be surprised how the stress is less with a list….